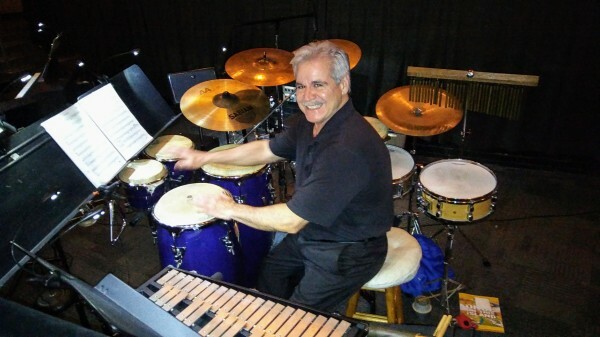 A native of Virginia Beach, Ralph Joseph Copley has been performing and teaching music since the early 70s. Ralph is or has been a member of and/or performed in numerous organizations such as: The Tidewater Winds, the Norfolk Symphony, the Virginia Symphony, the Virginia Opera, Williamsburg Symphony, the Peninsula Symphony, the Virginia Beach Pops, the Virginia Beach Symphony, Symphonicity, the Governor's School for the Arts, Tidewater Community College, and with various other orchestras in multiple genres. Ralph is presently residing in VA Beach and still performing and teaching with and in many of the above organizations.HE is a proud member of Tidewater Winds and the Winds are honored to work with him! Meet Stephanie Sanders, Basoonist! She is a Music Professor at Norfolk State University and has been playing with the Winds for many years! She is happily married and loves jazz! Tidewater Winds is grateful for her talents and support! Thank you Stephanie for your time, talents and musical gifts!